Contact Us now to find out the services that we could offer for your Blade Tip Grind product. All of our tip measurement systems are used for measuring tip clearance gaps between compressor and turbine blade tips and the engine inner casing. 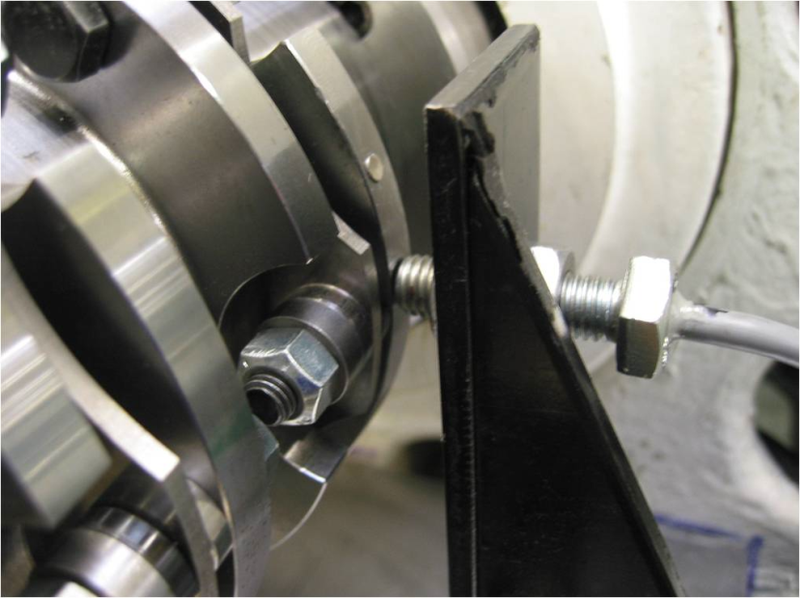 The ROTAGAGE rotor inspection system is used for measuring individual rotor blade radii on the production of gas turbine engines and compressors during the blade tip grinding process. A high (in process) and low (offline) speed versions are available. The high-speed version is used when there is the need to use the rotational speed centrifugal force of the grinding machine to lock the blades into their running position on the blade rotor disc. The slow-speed version is used for heavy industrial rotors and compressor casings. Self-calibrating probes available for different blade profiles - probe calibration is automatic before each measurment. Automatic determination of optimum measurement settings at any grinding stage, typically takes 1 minute. The system can measure most blade profiles and thickness if they are generally of similar length. System automatically determines blades missing or so short they are out of measurement range. Un-interruptable power supply ensures no data loss or system damage. Overhaul recommended one of two days per year. 1-micron resolution with typically 5-micron accuracy on the longest blade. Please note, all repairs and services for Blade Tip Grind are subject to the condition in which they are returned to us. Contact us for further information on how we could help.